Dr. Mehmet Oz has co-authored 6 New York Times best sellers and appeared on several television programs over the years as a medical consultant, but it wasn't until the launch of his own TV show, The Dr. Oz Show in 2009 that he attained celebrity status. 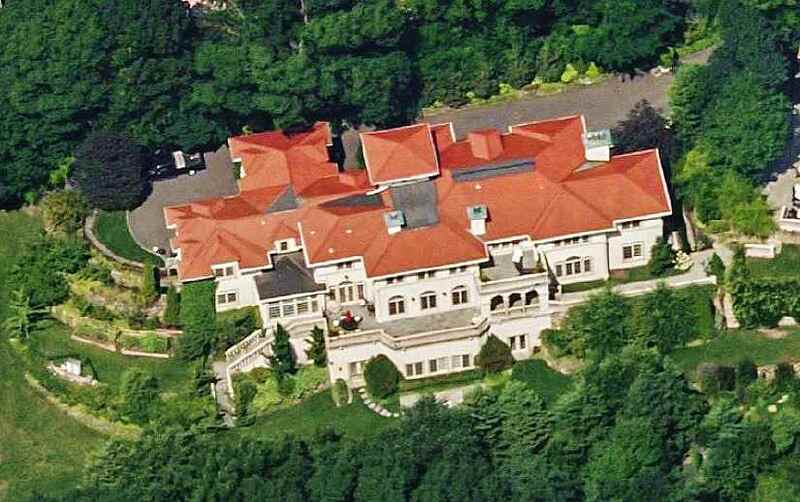 In August of 2000 long before the fame, Dr. Oz purchased this 9,153 square-foot mansion in Cliffside Park, New Jersey. The home is set on just under 2.5 acres and is a short distance from the Hudson River. In 2018 the home's dollar value was roughly 3.6 million. Away from the celebrity limelight. Dr. Mehmet Oz is a cardiothoracic surgeon, and professor at Columbia University. Dr. Oz's wife Lisa and daughter Daphne are no strangers to the world of celebrity either. Lisa is an author and hosts The Lisa Oz Show on Oprah Radio and the Veria Living TV network, plus a frequent co-host on her husband's talk show. Daphne is also an author, and co-hosted ABC network's popular daytime talk show The Chew until 2016 when she left to become a judge on the competition show Cooks vs. Cons on Food Network.